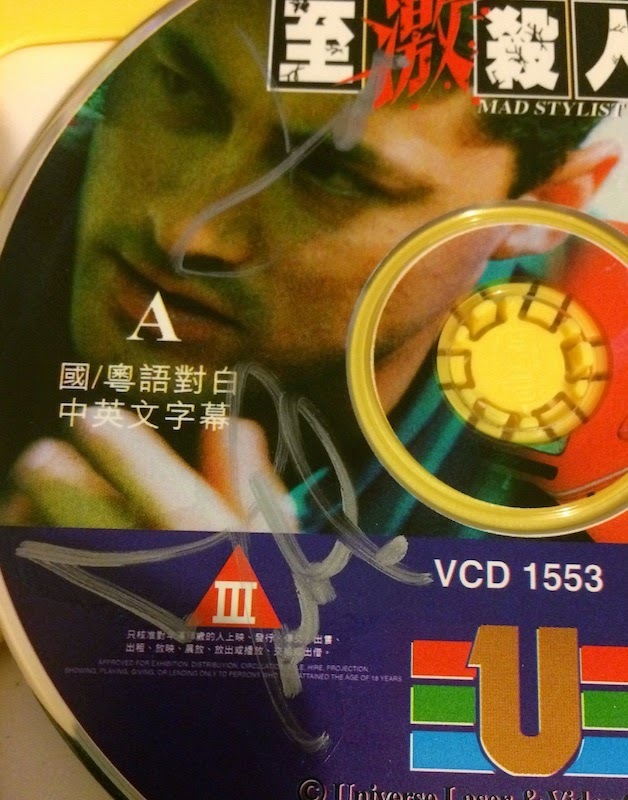 On my last trip to Hong Kong I picked up the vcd of Mad Stylist, it wasn't until I looked at it recently that I noticed a scribble on the front. 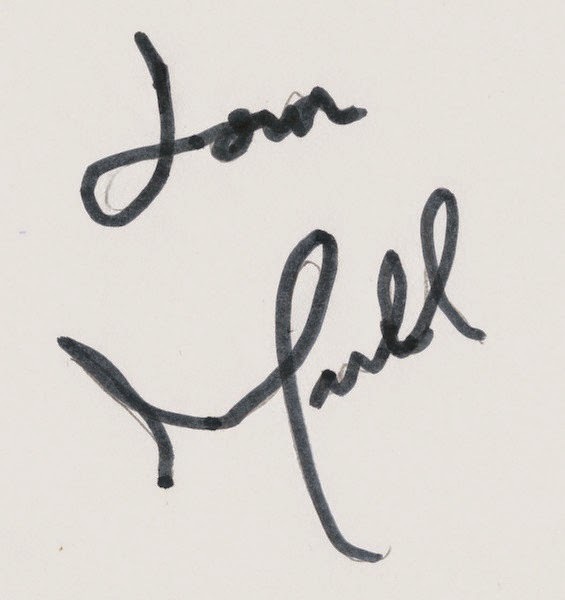 On further inspection it looks like an autograph, and on the 1st disc is a very similar scrawl. 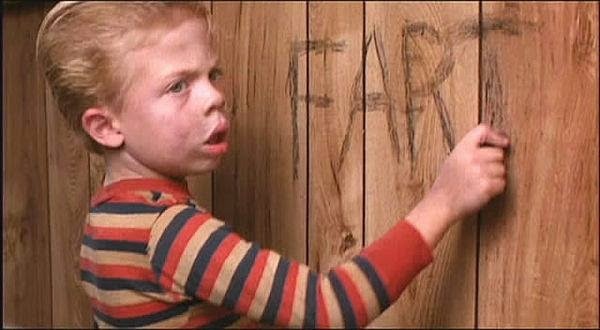 To try and find out who was responsible I posted the following pics on facebook. So far nobody has been able to decipher the signature, it could be Michael Wong, it could be Kent Cheng, it could even be director Yip Tin Hang, or as Jared suggested, this could be the culprit. Admittedly the pics aren't the clearest, but to be fair the silver marker (which looks like it's been covered with nail polish or something) isn't the easiest thing to get a photo of. So I tried scanning them, and I'm not sure the results are much clearer. As a last resort, I dug out the old forgery skills (I won't be giving up the day job!) and came up with this approximation of the scribble. Surprisingly, it really does look something like this. If anyone out there knows whose signature this could be, then please get in touch. 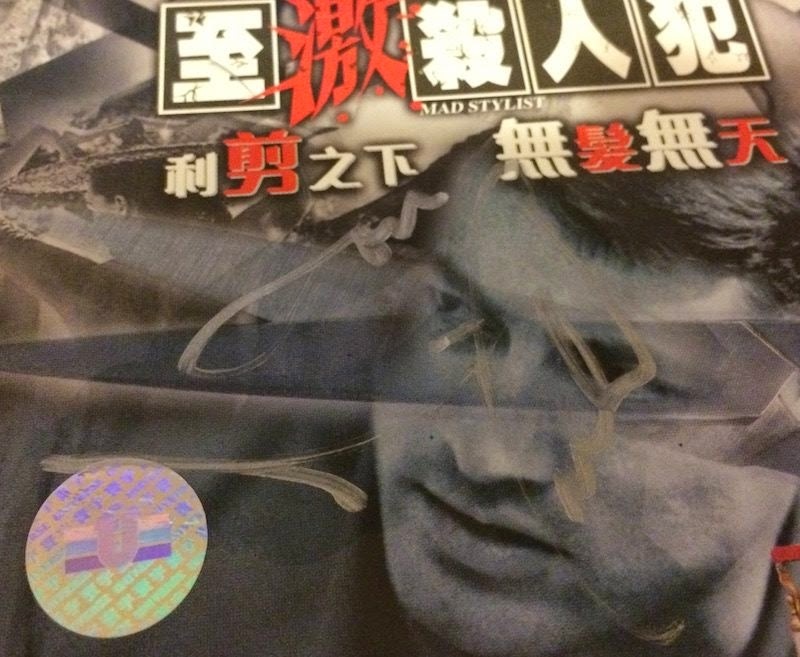 Equally if you have something signed by Michael Wong, Kent Cheng etc, and it doesn't look anything like this then please send a pic of it so I can eliminate them from my enquiries. 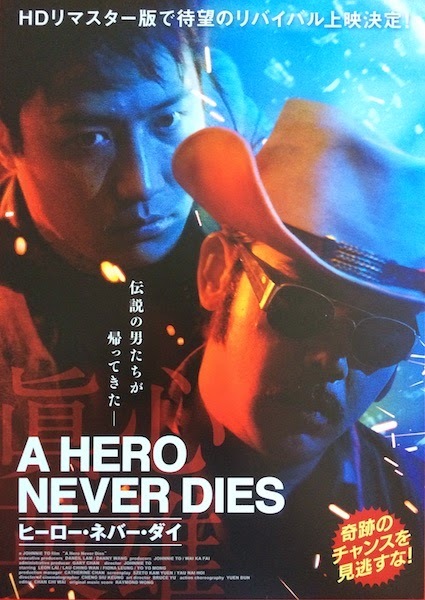 Today the blu ray of A Hero Never Dies should be released in Japan and to celebrate, here is the Japanese chirashi used to promote the film's cinema re-release in December 2014. 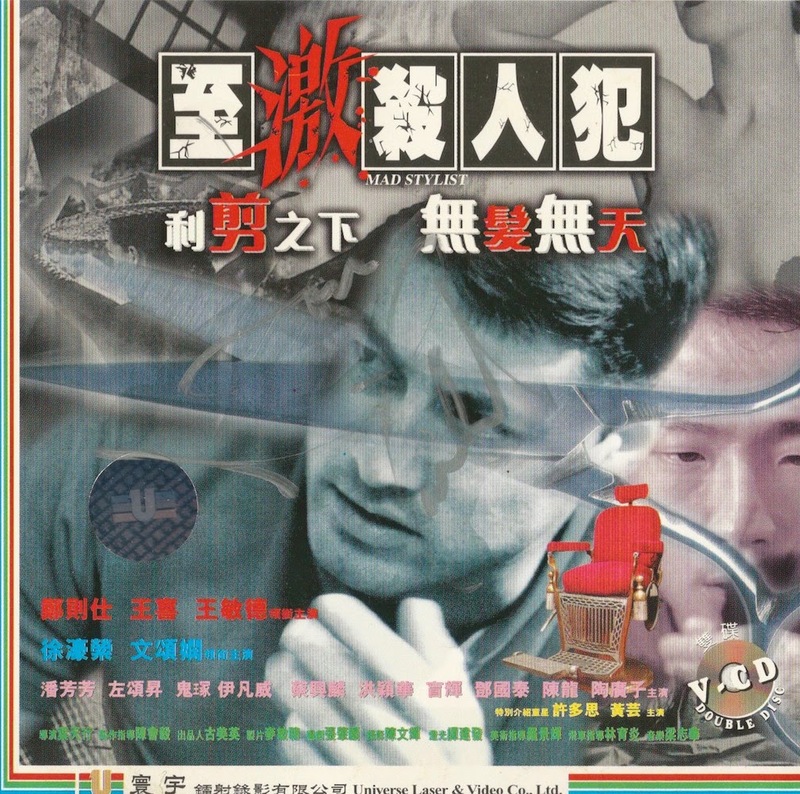 A chirashi is a B5 (approx 19 by 26cms) mini poster/flyer , which will usually be double sided. 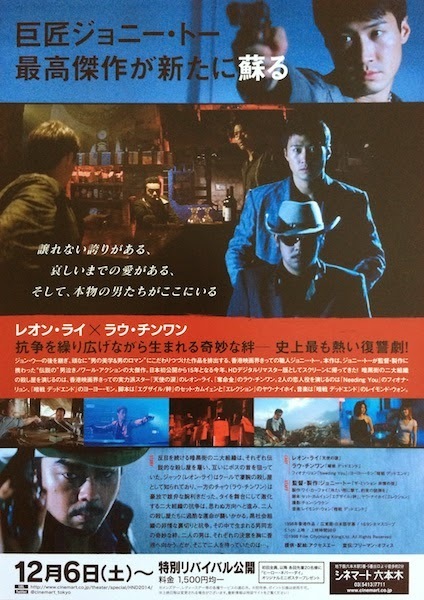 Thanks to John in Japan for tracking this down for me. If you're interested in obtaining one of these beauties, I may have a few spares.